Update: Thanks to everyone who provided jumble for our sale and attended on the day, we raised a very healthy £300 to put towards our Castle Lodge improvement fund. Fantastic news! 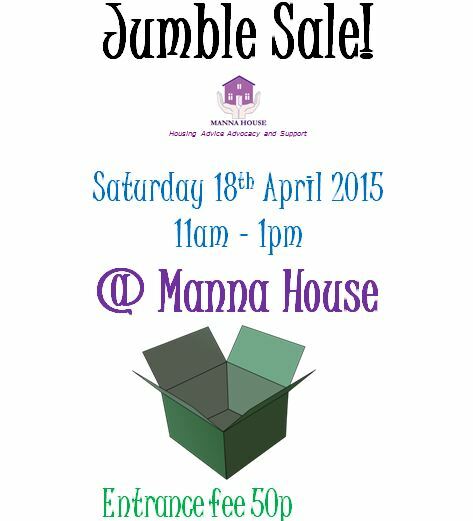 Join us among the jumble and raise vital funds for Manna House, entry is just 50p and there will be all ‘manna’ of bargains!